Located near the Sirohi District, Mount Abu is the only hill station in the desert state of Rajasthan. It lies in the Aravalli mountain range at an approximate elevation of around 1,220 meters above sea level, with its highest point being ‘Guru Shikhar’ which is at a height of 1,722 meters above sea level. Being the only hill station in Rajasthan, it has been a popular retreat for the residents as a place away from the scorching desert heat. The place also has a significant place in the Hindu mythology as it is mentioned as the place where the Sage Vashistha retired. Today, the place is a great tourist destination, a hill station with the distinctive blend of the flavors of Rajasthan. It totally deserves a visit. 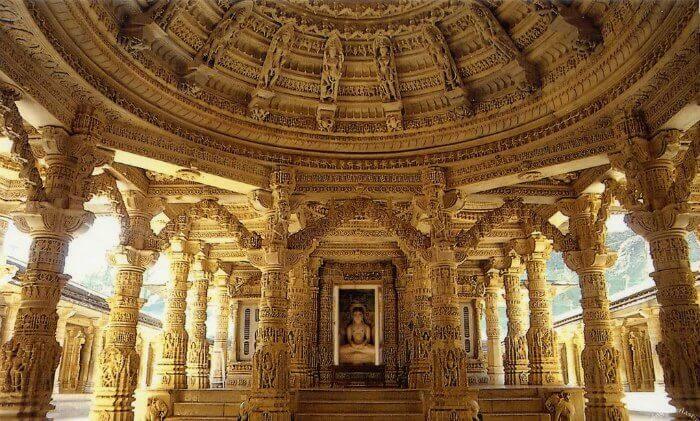 With its intricate marble artwork, ornamental carvings, flawless stone laying technique, & smooth sculptures, the Dilwara Jain Temples in Mount Abu are sure to leave one awestruck. Built in 11th and 13th century AD, the temple consists of a complex series of 5 Jain temples under it, namely Vimal Vasahi, Luna Vasahi, Pithalhar, Khartar Vasahi, & Mahavir Swami. Its unique architecture and mesmerising outlay makes it one of the most attractive tourist places in Mount Abu and a must visit spot for pilgrims. Believed to have been dug out by the Gods themselves, the clear blue water of the lake turns into amazing shades under the changing sky. 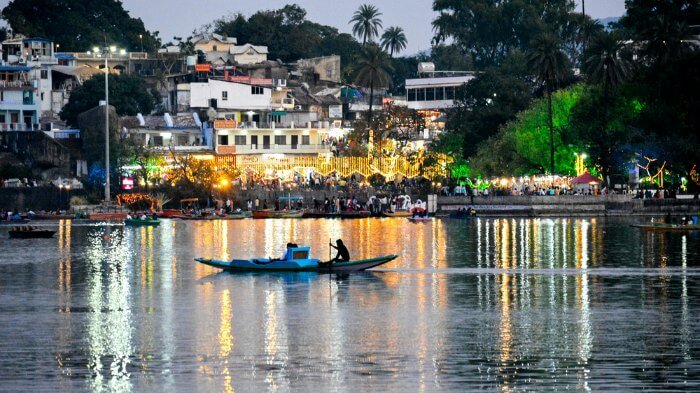 Nakki lake is a very special place to visit in Mount Abu owing to the fact that Mahatma Gandhi‘s ashes were immersed here. The lake is surrounded by plenty of eating joints catering to every type of visitor. 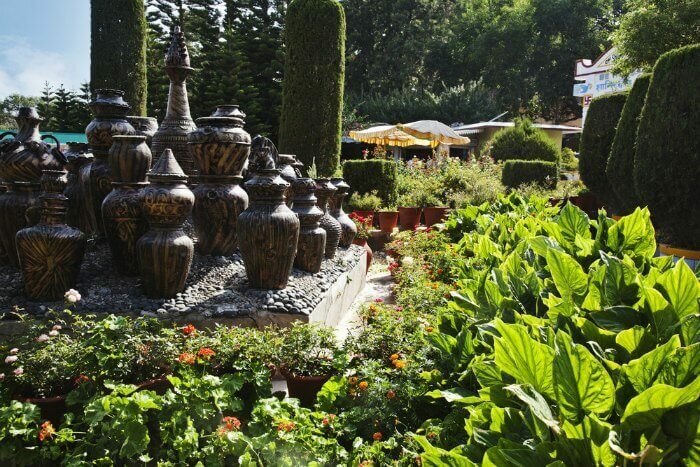 This serene establishment is a part of the Brahma Kumaris spiritual abode and among the essential places to visit in mount abu for those looking for an escape from the stressful city life. People come to Peace Park to surrender themselves to its calm environment and indulge in meditation. In addition to meditation, the park is also a great spot for a variety of activities and offers immense natural beauty. One must explore the park via a guided tour in order to ensure that they do not miss out on capturing the true essence of this place. 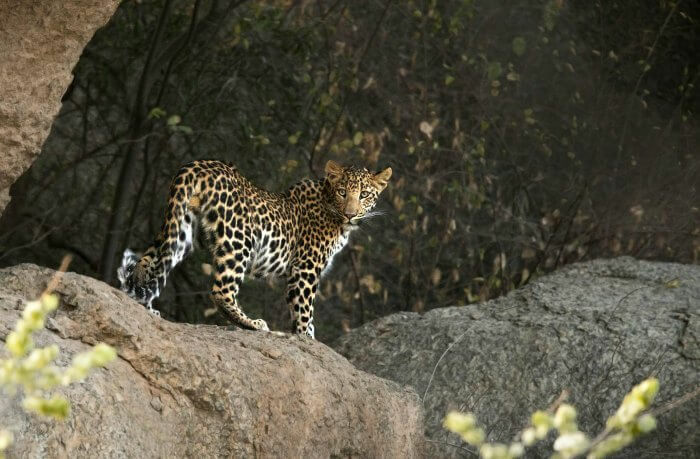 The Guru Shikhar Peak, located inside the Mount Abu Wildlife Sanctuary, is the highest peak in the entire Aravalli Mountain Range and in Mount Abu. Offering breathtaking panoramic vistas of the surrounding region, Guru Shikhar is among the most favoured tourist places in Mount Abu. While here, one can also visit the famous temple of Guru Dattatreya, who was believed to be an incarnation of the Hindu deities Brahma, Vishnu and Shiva, all in one. The most ideal place for couples in Mount Abu, the Sunset Point is among those tourist attractions in Mount Abu where one can find absolute peace and serenity. 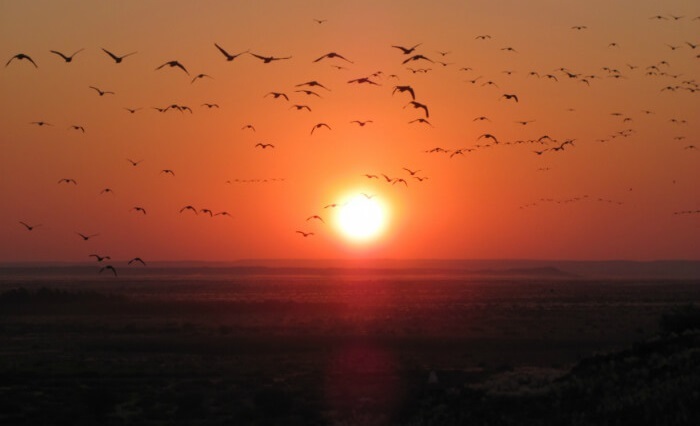 As the name suggests, the Sunset Point is known for offering the most dazzling views of the sunset. Visitors can either walk, or horse ride upto the point. The place is perfect for those looking for a quiet evening amidst the greens watching the sun paint amazing colours in the sky as it dives beyond the hills. Situated near the Banas River, Abu Road essentially refers to a railway station located here amidst stunning surroundings. This place houses many temples significant in the Hindu mythology, displaying a beautiful work of Indian architecture, which places Abu Road among the top places to visit in Mount Abu for pilgrimage. The Banas River happens to be a fabulous picnic spot in itself and is frequented by locals and tourists alike. Originally built by the rulers of the Paramara Dynasty and later reconstructed by Maharana Kumbha of the Mewar Kingdom, Achalgarh is a ruined reminiscence of a once pompous, majestic fort and an ancient kingdom. 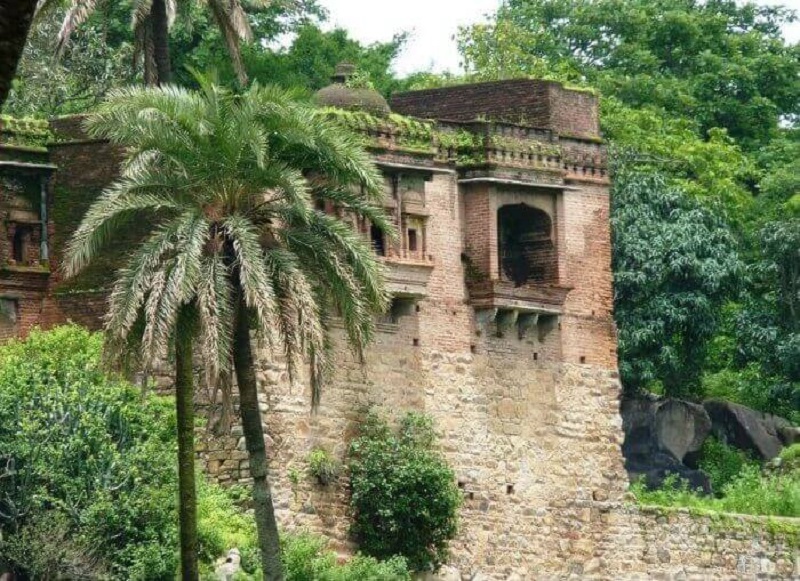 The fort is among the most popular places to see in Mount Abu, owing to its ancient temple dedicated to Lord Shiva, known as the Achaleshwar Mahadeva Temple, and to its outstanding location which provides one breathtaking views of the surrounding city and the hills. The superior architecture of the fort, with its two monumental towers carved out of grey granite marking the entrance, and that of the temple, with its huge foot impression of Lord Shiva, a brass figurine of the cow Nandi, & three sculptures of buffalos near the pond, attract armies of tourists to this place every year from around the world. 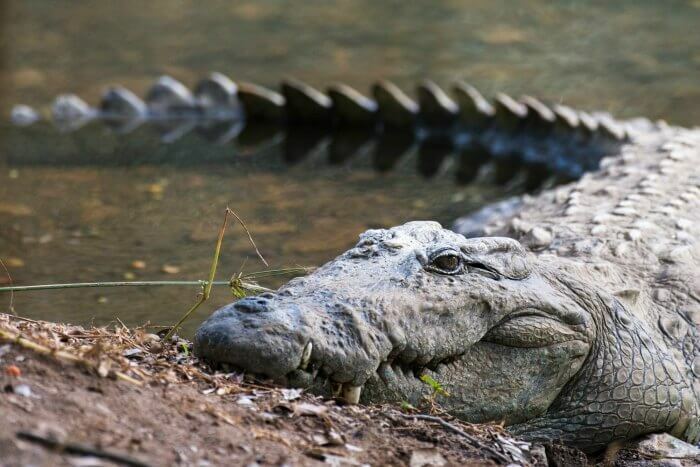 Though the park is primarily a man made crocodile breeding spot near Mount Abu, the lush green surroundings and the enriching, fresh atmosphere of this park will make one forget the main reason of its existence! Trevor’s Tank, or Trevor’s Crocodile Park also houses various other animals than crocodiles which obviously dominate the park. Apart from being a breeding ground and home to these deadly reptiles, the park is also a heaven for birdwatchers. All in all, it’s among those pristine Mount Abu tourist places that attract all sorts of tourists from peace seekers to nature lovers and photographers. 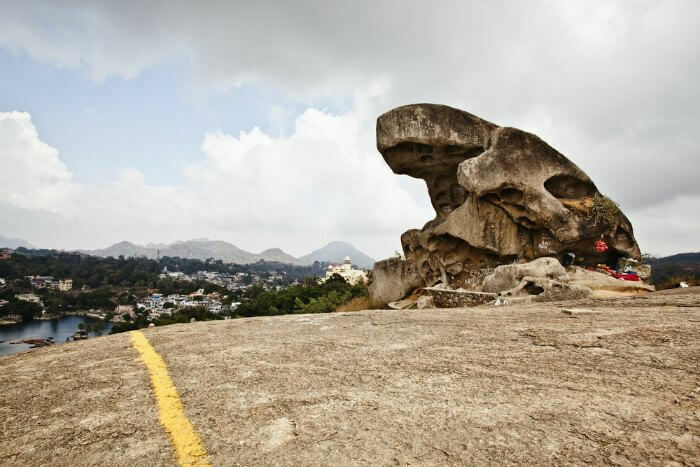 Located adjacent to Nakki Lake sits one of the fascinating places to explore in Mount Abu. The Toad Rock is a unique rock formation that resembles a toad and attracts many curious visitors on a regular basis owing to its queer shape and its fantastic location. 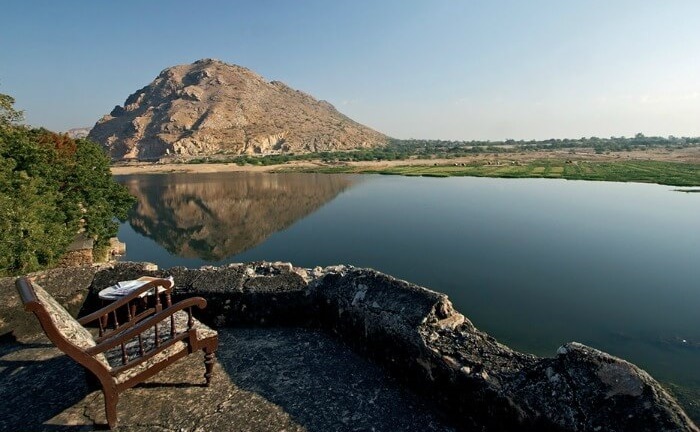 One can easily climb this rock, sit, and enjoy magnificent views of the Nakki Lake and the beautiful city beyond.